This advanced VMware-authorized Fast Track class focuses on providing system administrators with the advanced knowledge and skills needed to successfully prepare for the VMware® vSphere VCP 5 exam. This class goes into even greater detail and expands upon the advanced tasks providing for an opportunity to gain expert skills for configuring a highly available and scalable virtual infrastructure. During the class, you will acquire hands-on experience as you spend almost half the class time working on labs to diagnose and rectifying configuration problems created on VMware ESXi and VMware vCenter Server systems. This course is designed for System Administrators, Systems Engineers and those who are responsible for ESXi and vCenter Server operations. 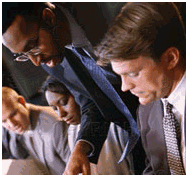 The Fast Track course satisfies the requirements for earning your VCP Certification.